Alligators are known for being fearless and independent types, but sometimes even they need a little help. 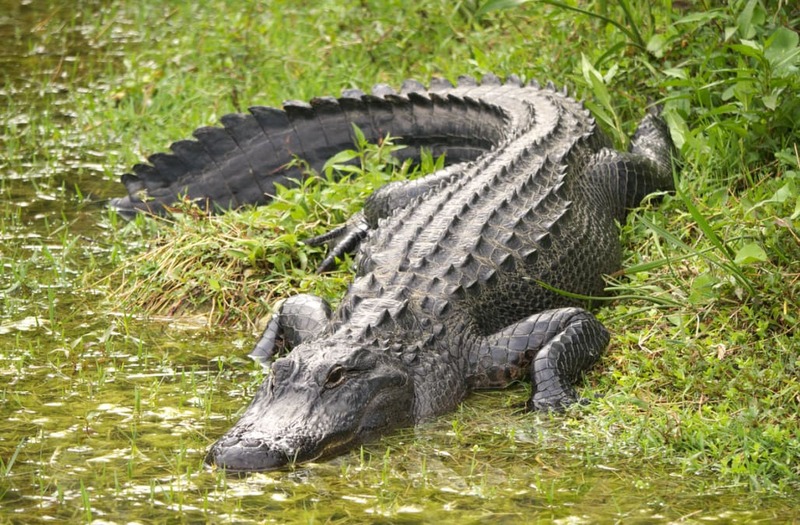 The Fulshear Police Department of Texas recently reported one such instance involving a gator that got stuck while apparently trying to pass through a wire fence. “This gator thought he was skinnier than he was (haven’t we all) and attempted to squeeze through the fence, getting caught in the process,” according to a Sunday Facebook post. Two officers were brave enough to take on the task of setting the toothy, scaly creature free and their efforts were a success. “The gator wanted to give them a kiss for helping, but they respectfully denied his advances,” according to the department.